A one-month-old infant is dead after an incident that authorities believe was accidental. 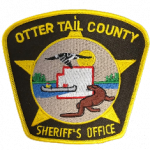 On Saturday morning the Otter Tail County Sheriff’s Office received a 911 call reporting a baby was unconscious and not breathing. A family member was providing CPR at the time. Otter Tail County deputies, Underwood Fire and Rescue, and Ringdahl Ambulance personnel attempted lifesaving efforts, but the baby was pronounced dead at the scene. An autopsy was conducted, and the investigation is still active; it is being conducted by the Otter Tail County Sheriff’s Office and the Minnesota Bureau of Criminal Apprehension.